Since the unexpected victory of the Donald J. Trump in the US presidential elections, Australia’s chief stock market, the ASX 200 index, has recorded good gains to bounce back from its sharp decline in February 2016. For the first three months this year, the benchmark has tallied 3.5% growth and has kept itself near the important and psychological 6000-mark. Currently it is standing above the 5800-level, with its banking, finance, and mining sectors continue roaring. With the unceasing technical and fundamental challenges present in the market, can the index finally break the 6000-barrier? 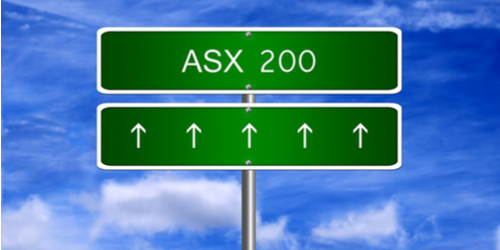 The past year was a big one for the ASX 200 index despite the uncertainties brought by major political events like the controversial Brexit and the US elections. The equity markets in Australia have shown nerve of steel and climbed past the so-called “wall of worry.” From a disappointing low of 4800 in the first quarter, it jumped 20% to reach 5800 and finally entered the bull market territory. This year, the ASX 200 index is poise to duplicate its impressive performance to breach past the elusive 6000-barrier that was last touch ten years ago. The Aussie stock market just needs to register near 4% advancement to break that mark. And with momentum clearly on its side, it is not an impossible mission to accomplish. There may be an issue of overvaluation in the index but there are several factors that could support the stock market’s quest to achieve a rare feat. The Australian economy, which is showing signs of relative growth, is a big boost to its equity market, with the banks’ interest rates on mortgages accelerating to a decade-high of 9%. But if there are forces that would drive the ASX 200 index above the 6000-level, they are the valuations and earnings. Should the valuations avoid being a negative driver, it could be a big support to the index’s journey. Currently the price-to-forward earnings ratio in the index is at 15.8, a value conceived by most investors as higher than the 10-year average of just 13.8. On the bright side, experts remain optimistic about the earnings and profits of the companies under the index. According to analyst, they will climb for the first time in three years. The double-digit equity returns forecasted could be a major game changer.